(Anchorage, AK) – Natural Resources Commissioner Andy Mack announced today that Ethan Tyler will join the Department of Natural Resources as director of the Division of Parks & Outdoor Recreation on July 17. Tyler has 17 years of private sector and non-profit experience in Alaska, largely in tourism, outdoor recreation and economic development. He is moving to DNR from his current position as the Economic Development Manager for the Alaska Department of Commerce, Community and Economic Development where he supervises a variety of statewide programs including the Made in Alaska program. “I look forward to joining the DNR team and working cooperatively with fellow Alaskans to manage the nation’s largest and best state park system, and increase opportunities for outdoor recreation in our state,” Tyler said. Tyler began his Alaska career at the Alyeska Resort in 2000. He joined CIRI Alaska Tourism Corp. four years later as a sales manager, and went on to work in management positions at the Alaska Wildlife Conservation Center and the Alaska Community Foundation. From 2009 to 2013, he owned a consulting business that provided communications, sales, marketing and other services to Alaska’s visitor industry. Tyler has a Bachelor of Science degree in Business Administration from Mesa State College in Grand Junction, Colorado. He is an avid outdoorsman who enjoys ski instructing, backcountry skiing, as well as biking, hiking, surfing, and time spent with family. Bill Frist to Congress: Stand up for nature. Don’t starve EPA and conservation programs. I worry about the health of our people, our natural resources and our government institutions. Investing in nature would put us on a stronger path. Earlier this month, my wife Tracy and I explored on horseback for three days the Big South Fork National River and Recreation Area — a gem of the national park system in east Tennessee. As we rode the trails, experiencing the gently flowing creeks, the quiet wooded paths, the inspiring sounds of birds and kids playing along the way, we delightfully soaked up the present, reflected fondly on the past and what it took to make our experience possible, but also worried about the future. The Big South Fork was established in 1974 by a U.S. Senate majority leader before me, my mentor, Republican Howard Baker of Tennessee, through bipartisan, broadly supported congressional legislation. I remember him telling me years later that of all the contributions he made to the country, this act would be the most remembered because of the broad impact it would have on the well-being of millions of people for generations to come. I think he’s right. As a doctor and scientist, I speak and write often on the well-established connection between the physical, mental and emotional health of people and their natural environment. As a former congressional legislator, I witnessed the synergistic connection between responsible, smart government and cooperative, forward-leaning partnerships that help people from all walks of life thrive and live happier and more fulfilling lives. But right now, I worry about the health of our people, our natural resources and our government institutions. Getting back to basics for things we all need — healthy land, clean air and water — would be a good start to putting us and our nation on a stronger path. To do that, we need Congress and the administration to fully support our diverse public lands and investments in our natural resources through effective conservation and science programs. When I served in the Senate, I saw firsthand how healthy lands and waters support our businesses and economies. More than 24 million jobs are tied to our land — 9.3% of total U.S. employment. More than 7 million of us are employed in outdoor recreation; 17 million of us have agricultural jobs. Forests and fisheries account for another 4.8 million jobs. Even beyond that, natural infrastructure such as reefs, dunes, marshes, floodplains and forests help protect our communities from flooding and other natural disasters. As Congress shapes the nation’s budget, funding conservation and science programs is essential to sustain the health of our lands and waters. Many of these programs also stretch limited taxpayer dollars through partnerships with farmers, ranchers, companies and communities across the United States. Congress has the power to support these and other cost-effective programs, as well as the public lands that provide so much to all of us. Our three-day get away on horseback reminded us how grateful we are to our tradition of bipartisan support for conserving America’s natural resources. Investing in nature is a wise investment in the health and well-being of our nation and the American people. It is a worthy and critical investment I hope Congress will support. Republican Bill Frist of Tennessee, a heart transplant surgeon and a former Senate majority leader, serves on the Board of Directors of The Nature Conservancy. https://www.stateparks.org/wp-content/uploads/2017/07/lwcflogo.png 200 200 NASPD http://www.stateparks.org/wp-content/uploads/2017/08/Americas_State_Parks_Logo-300x188.jpg NASPD2017-07-19 11:54:012017-07-19 11:54:01Bill Frist to Congress: Stand up for nature. Don't starve EPA and conservation programs. 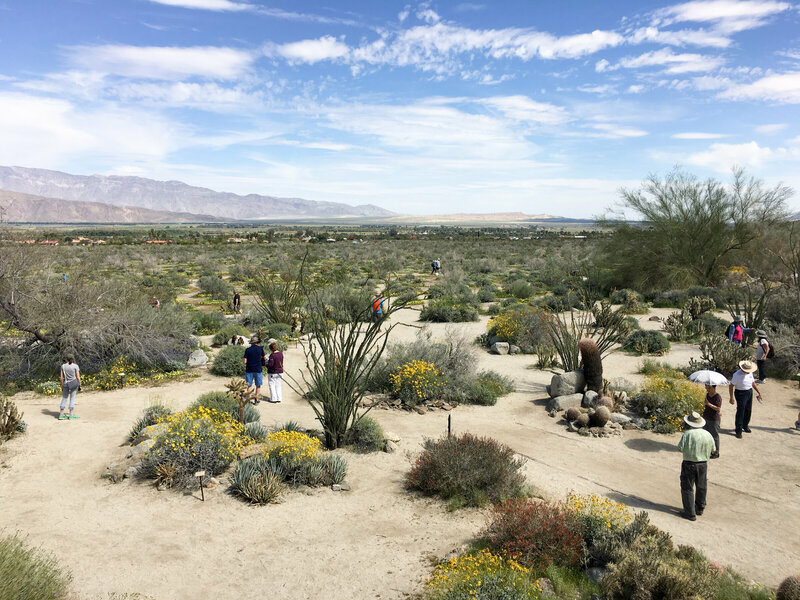 People are scattered throughout the hills and valleys of Anza-Borrego, Califonia’s largest state park, taking in the beauty of a rare “super bloom” of wild flowers. In some parts of the country, cold weather is threatening crops. Meanwhile, California has been so unseasonably wet that its deserts are experiencing what’s called a “super bloom.” After years of drought, the normally arid desert is lush. “It just looks like a sea of flowers,” says Janet Gordon, a geologist from Los Angeles. “You got purple, red, yellows and blues,” adds Joe Sheidness, visiting from San Diego. Gracie is a 2-year-old border collie with a mission. She is Glacier National Park’s first “bark ranger” — a skilled herder, she keeps mountain goats and bighorn sheep away from park visitors. Gracie also helps rangers teach visitors good park manners. Getting too close to wildlife to take selfies isn’t a good idea for animals or humans, for example. And trying to touch the wildlife isn’t smart either. Both are problems in national parks. America’s State Parks have been one of our nation’s natural treasures for more than 100 years, and that’s why, here at STIHL, we continue to support the men and women who attend the National Association of State Park Director’s (NASPD) Leadership School. This year, we continued to provide student scholarships to the next generation of park professionals and remained the exclusive outdoor power equipment sponsor of the NASPD’s annual training program. This year marks the Leadership School’s 10th year of providing park personnel with the education, training, networks, and tools to prepare themselves, and their teams, to take on larger responsibilities in their park systems. “The partnership with STIHL Inc., who’s sponsorship has provided opportunities for those, where out of state travel restrictions would have otherwise limited participation, has been vital to its broad success,” said Lewis Ledford, school director and executive director of NASPD. Over the past decade, more than 400 senior park leaders, from 44 states, have graduated from the program; while participation and enrollment continue to grow. Each student goes through a two-year training program which includes online education courses and hands-on training at the Oglebay Resort and Conference Center in Wheeling, W. Va. The leadership program allows experienced park managers and students to interact, share experiences, and learn about a variety of topics, including state park planning, calculating budgets and technology trends in parks. The combination of the students’ passion and the park directors, who volunteer their time to teach, makes this leadership school both a unique and exciting program. Here at STIHL, knowing our company’s contributions, as a sponsor and a scholarship contributor, is both gratifying and rewarding for all of us. New State Parks in Nevada! https://www.stateparks.org/wp-content/uploads/2016/07/Screen-Shot-2016-07-18-at-7.49.34-PM.png 290 234 NASPD http://www.stateparks.org/wp-content/uploads/2017/08/Americas_State_Parks_Logo-300x188.jpg NASPD2017-03-02 01:04:062017-03-02 01:15:01New State Parks in Nevada! Ashburn, Va. (March 1, 2017) — The National Recreation and Park Association (NRPA) and National Association of State Park Directors (NASPD) congratulate Ryan Zinke on his Senate confirmation to serve as the new Secretary of the Interior and applaud his continued support for permanently authorizing the Land and Water Conservation Fund (LWCF). NRPA and NASPD also recognize U.S. Senator Lamar Alexander (R-TN) for highlighting the significance of LWCF as it relates to supporting outdoor recreation in local communities and city parks as part of his exchange with then nominee Zinke during January’s confirmation hearing. Both men agree on the importance of connecting youth to the great outdoors and teaching them the value of public lands, which NRPA and NASPD fully support. During his confirmation hearing, Zinke vowed to work in partnership with local communities and states on issues relating to the U.S. Department of Interior and its agencies like the National Park Service. NRPA and NASPD look forward to working with the department, as well, on preserving access to public lands through LWCF and other related conservation and outdoor recreation initiatives. A recent poll conducted by NRPA reaffirms the fact that Americans are passionate about the preservation of public lands, such as local, state and national parks. Eighty-two percent of Americans polled say it’s important to preserve public lands, including parks, recreation areas, forests, conservation areas, wildlife refuges, etc. This includes 62 percent of Americans who say it is either “very” or “extremely” important to protect open space. To learn more about NASPD, visit www.stateparks.org/. The National Recreation and Park Association is a national not-for-profit organization dedicated to advancing park, recreation and conservation efforts that enhance quality of life for all people. Through its network of more than 52,000 recreation and park professionals and advocates, NRPA encourages the promotion of healthy and active lifestyles, conservation initiatives and equitable access to parks and public space. For more information, visit www.nrpa.org. For digital access to NRPA’s flagship publication, Parks & Recreation, visit www.parksandrecreation.org. In order to provide unique, hands-on learning experiences for children, California State Parks has been working to expand its distance learning program, PORTS(Parks Online Resources for Teachers and Schools). PORTS is a collaboration with innovative ed tech companies to provide one-of-a-kind learning experiences for teachers and students. 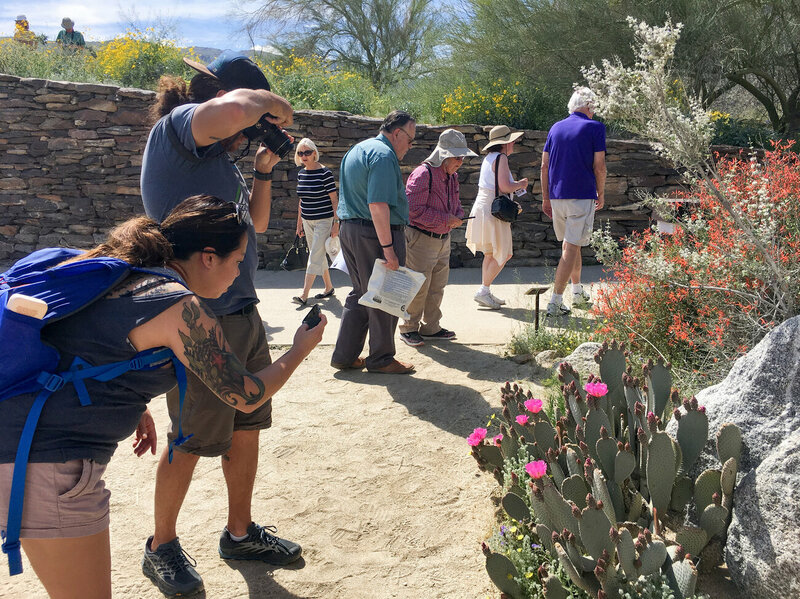 For instance, in a partnership with Belkin Education, a networking and accessories company, PORTS is offering real-time virtual field trips in 10 California state parks, conducted by state park rangers. Units of study include kelp forests, redwood ecology, monarch butterfly migration and historical subjects like the Gold Rush.